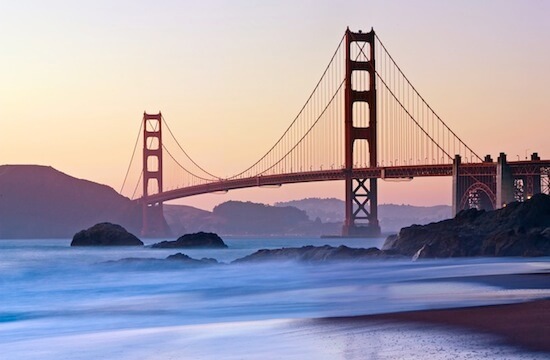 This particular fly drive holiday has been added to our roster of road trips due to the numerous requests we received for a road trip that starts in San Francisco, explores the California coastline and then finishes in party town Las Vegas. Your wish is our command. Thank you! Best holiday ever! Monterey was once California’s capital of the whaling and sardine industry, however, today it's best known for the world-class Monterey Bay Aquarium that resides on Cannery Row. The focus now is on marine education and preservation. Want to experience the bay area first hand? Take a whale watching trip during spring or autumn. 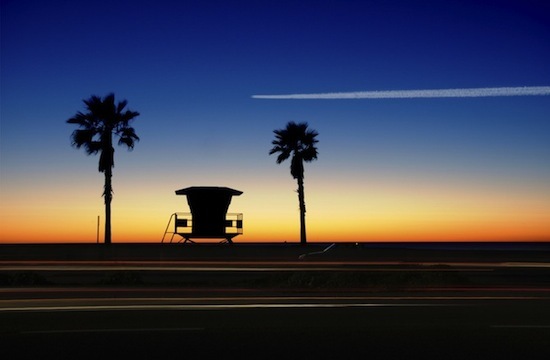 In the early evening, cruise along the famous “17-Mile Drive” on your way to Carmel-by-the-Sea. You’ll pass millionaire mansions, Pebble Beach Golf Club and a beautiful rugged coastline along the way. Carmel offers two world-class beaches backed by a small town made up of beautiful homes, quaint streets and fabulous restaurants. The wild and wonderful Point Lobos is just a couple of miles south of Carmel. Here you can see sea lions give birth to pups on beautiful beaches, sea otters frolicking in the ocean and whales slowly migrating. Big Sur - The drive of your life! 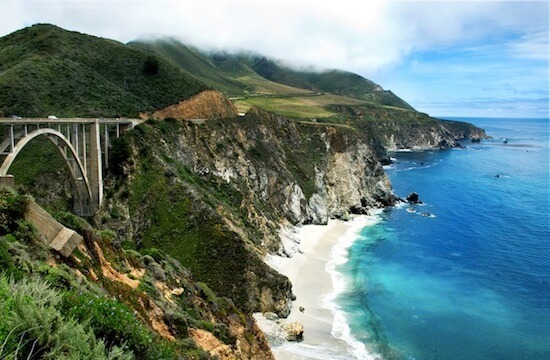 The world famous drive down California's Highway 1 is at its most dramatic when it features the 90 miles of coastal road that is Big Sur. Twisting roads curve around cliff faces, passing gorgeous state parks and spectacular vista lay-bys that look out over the vast ocean. Hearst Castle comes next - the product of one man’s ambition, wealth and imagination. This vast home hosted the rich and famous, today it offers visitors the chance to see fine antiques and art from around the world in an over the top setting. 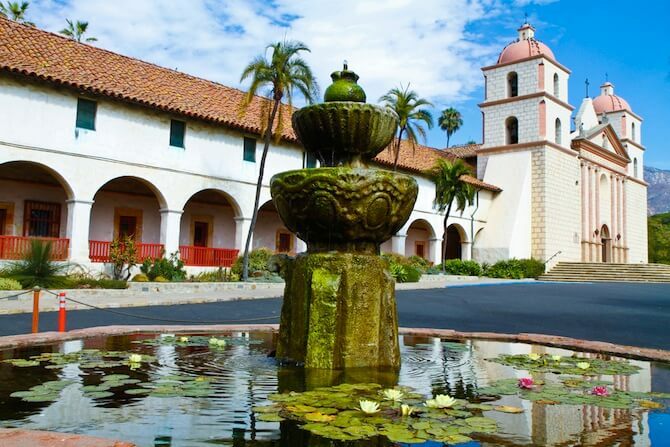 Santa Barbara is an ideal stop for anyone touring the Pacific Coast’s Highway 1. 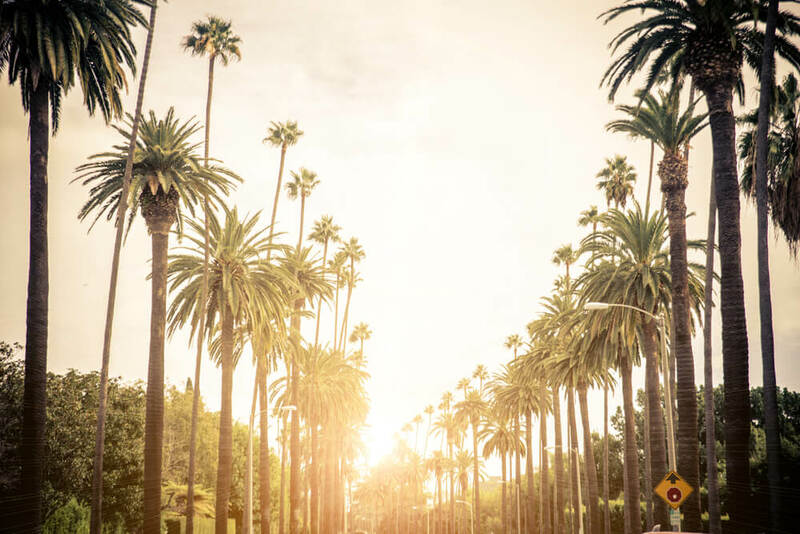 This affluent town is built in a charming Mediterranean style, making it one of the West Coast’s most attractive regions to visit. Enjoy the idyllic scenery by biking through the city or simply relax under the palm trees that are blessed by the constant rays of sun. Spend your morning by the pool and enjoy your breakfast before heading east to Sinatra’s favourite getaway. On your way to Las Vegas you’ll find Palm Springs, which feels like a mirage in the desert as the luxurious shelter is surrounded by dry mountains on all sides. Forget your worries whilst you lie by the pool, shoot some rounds of golf, or cruise the radiant streets and take in the modernist architecture. 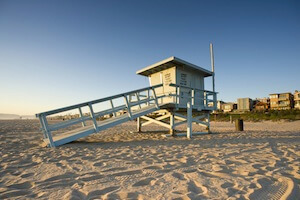 Made famous by the Hollywood stars of yesteryear, Palm Springs makes a wonderful overnight on any road trip. 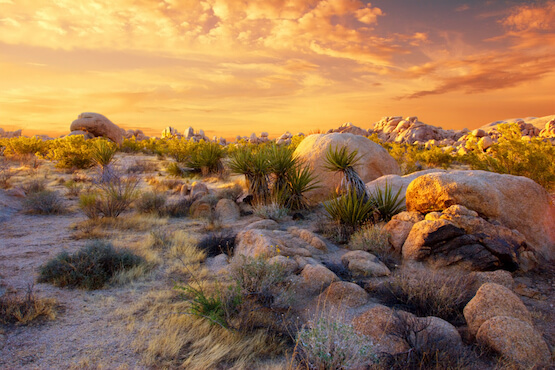 Joshua Tree National Park is an alien landscape, characterized by rugged rock formations and stark desert landscapes. 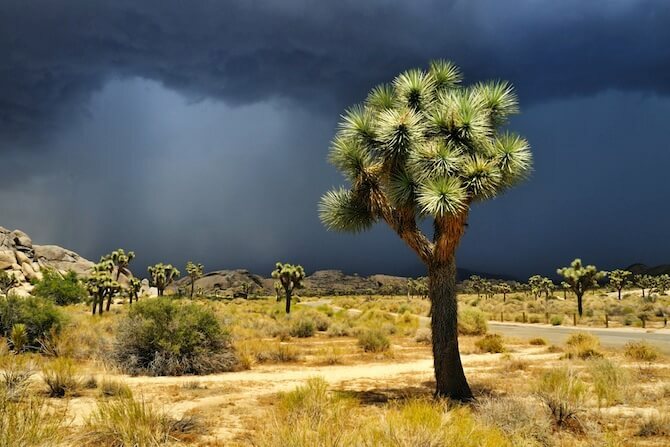 Named for the region’s twisted, bristled Joshua trees, the park straddles the cactus-dotted Colorado Desert and the Mojave Desert. Continuing east, welcome to Las Vegas! First class hotels, cuisine and entertainment in the middle of a desert landscape welcome you for a three-night stay. Once you’ve checked into your Las Vegas hotel, get dressed up and hit the tables, bars and restaurants - it’s time to paint the town red. Las Vegas has something for everyone, why not take a helicopter ride over The Grand Canyon and the Hoover Dam or, just enjoy more of the city. On everyone's list is checking out the Bellagio Fountains, you could also take a Gondola ride at the Venetian. Why not watch a world class show, Vegas is a great place to do it? Another ARTCo fave is the Neon Museum where you can experience the Las Vegas magic of a bygone age touring the Neon Boneyard. 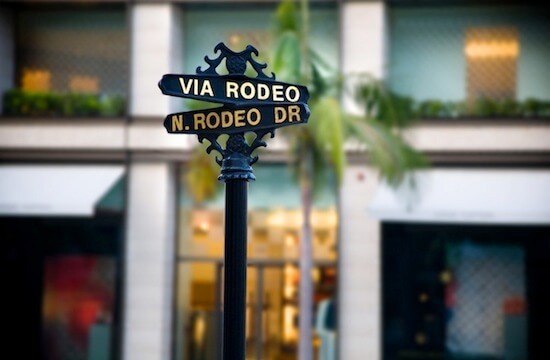 Don't forget to check out this road trip's Itinerary tab to see more amazing pictures from our "Cali Coast & Las Vegas" tour. You'll also be able to read a little bit about what you'll be getting up to on each day of this incredible road trip adventure.